A chance to own an original quilt made by Natalia Bonner & Kathleen Whiting. We created E.K.G. 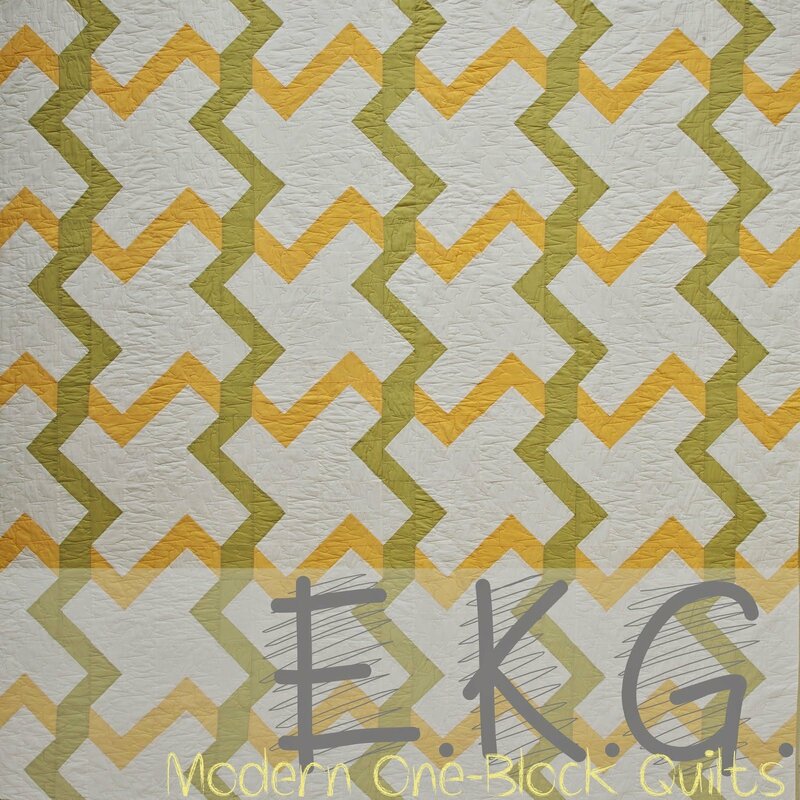 to be an alternative version of a classic Chevron quilt pattern. When we stitched it up and added the vertical zigzags, the quilt took on a whole new look. Finished quilt measures 75"x75" square.